Eros International & Next Gen Films’ Munna Michael is all set to treat audiences across the country to a visual spectacle like never before. The country’s first dance action film starring Tiger Shroff, Nawazuddin Siddiqui and Niddhi Agerwal will release on the 21st July 2017. 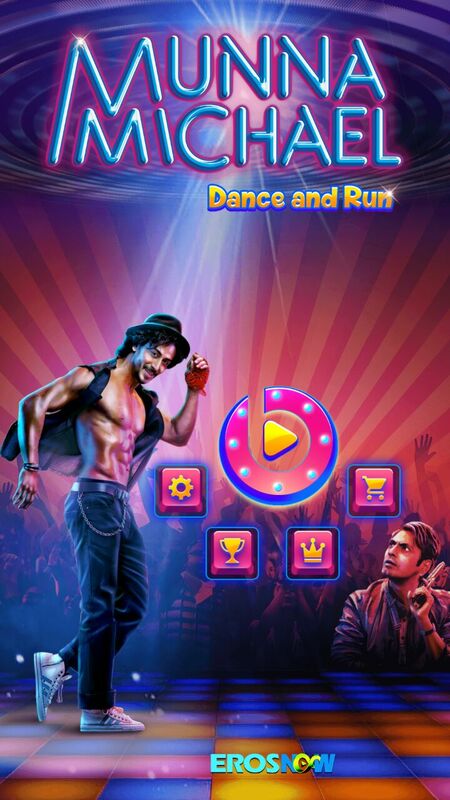 However, audiences can now enjoy the essence of the film over the digital platform as Munna Michael will now be an official movie game. The game is based on the “Munna Michael” movie theme ,with the objective of this game being for the player to run as long as possible ,avoiding all kinds of obstacles along the way.The game also features collectibles as Gold Coins and Powerups. Collecting Gold Coins consecutively fills up a special meter bar called “Handkerchief Bar” (Tiger sports a bandana on his hand throughout the film) which once filled can be used for activating a special power.